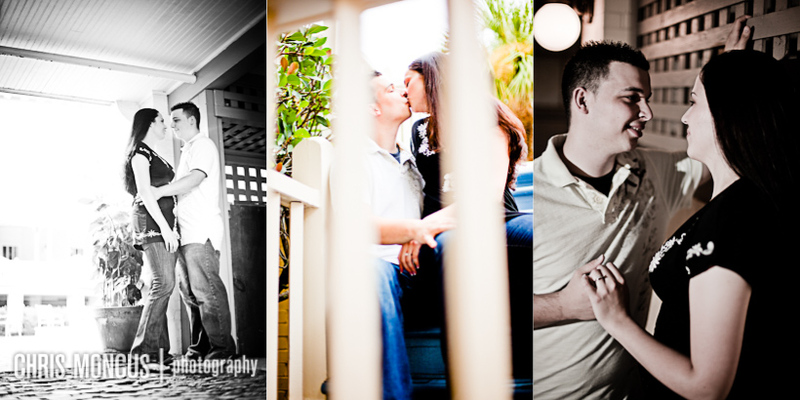 When I heard Candi got engaged a few months ago my first thought after being excited was the hope of photographing her wedding. Of the 27 years of my life I’ve known Candi about 21 of them. Her brother Scott was my best friend growing up. Christmases, Thanksgivings, and birthdays were all spent together. They’re just as much family as my “real” one. 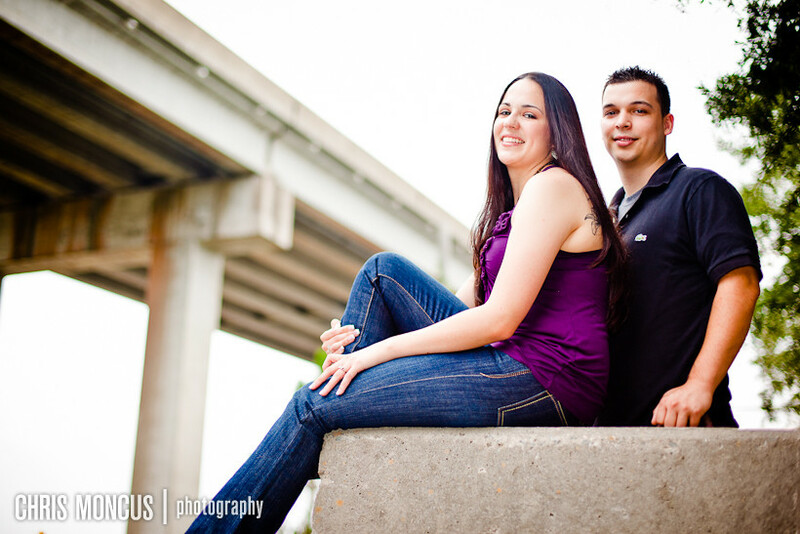 Now the distance that jobs, school, and family have taken us keep us from seeing each other too often. So when I got the call one day from Candi I was so excited. We were open for her wedding day! 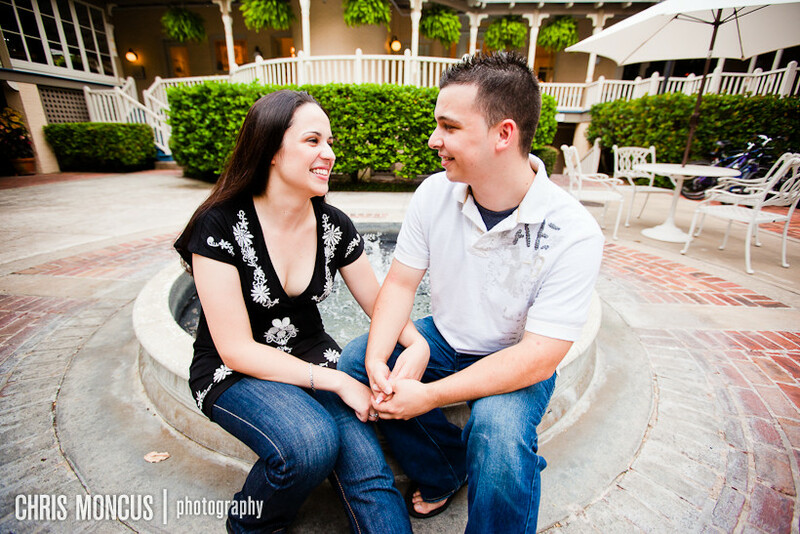 After solidifying everything we began to talk engagement session. 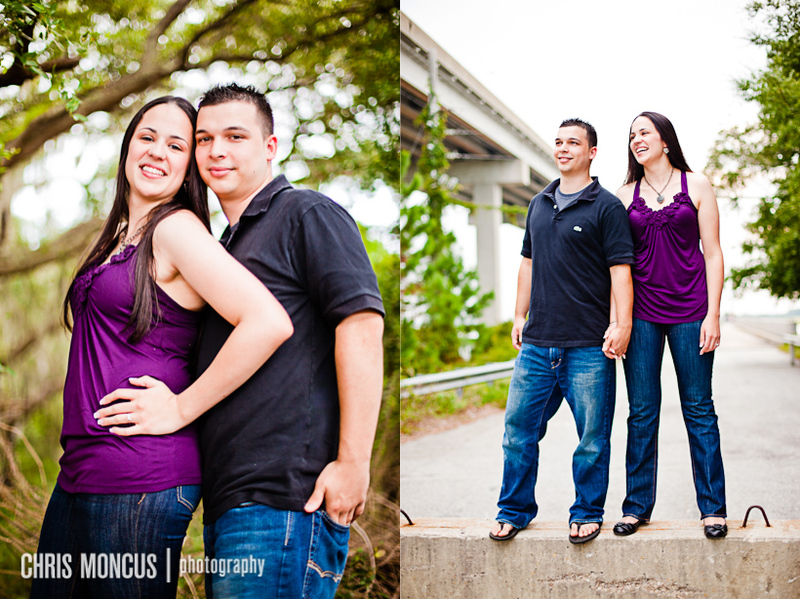 She and her fiance Laz decided to drive up from south Florida for their engagement session. 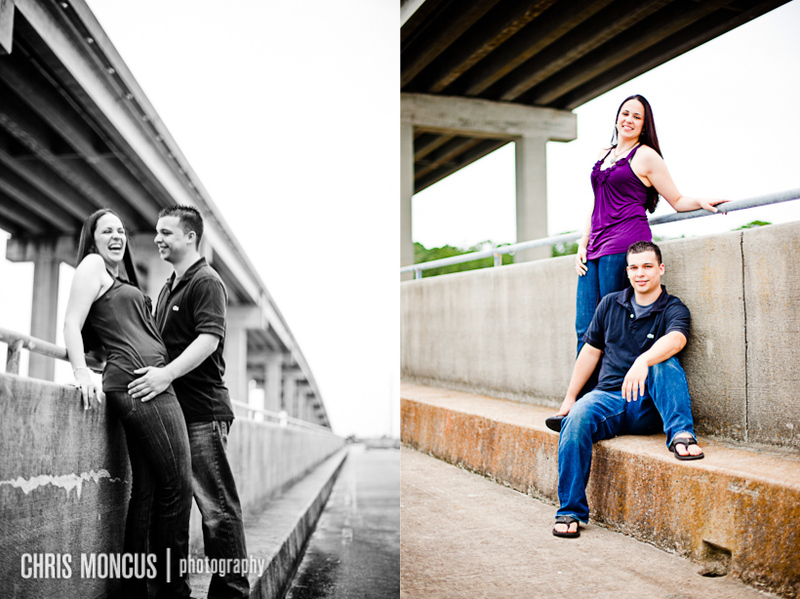 After those plans were made we learned a family reunion of sorts had been formed. 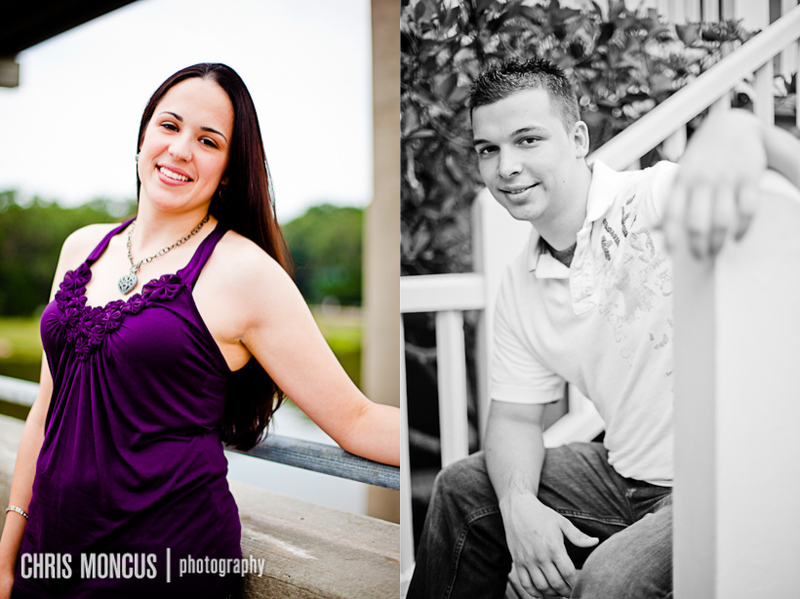 Scott, Candi, and their mom Lydia would all be in town the weekend of the engagement session! Awesome! We enjoyed the time together eating and hanging out. It was just like old times. 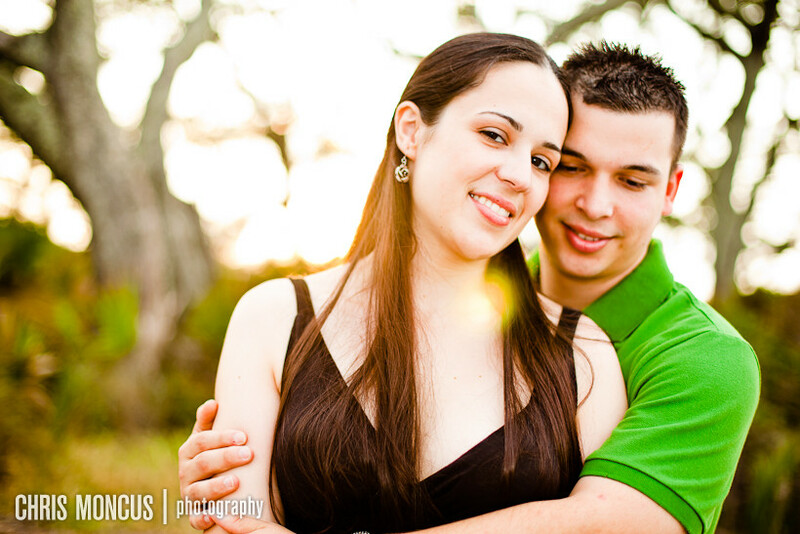 Then on Sunday we had the engagement session on Jekyll Island. We started at converted old draw bridge (now a fishing pier) in the shadow of the new bridge that takes you onto Jekyll Island. We also spent a bit of time around the hotel and then hit Driftwood beach around sunset. 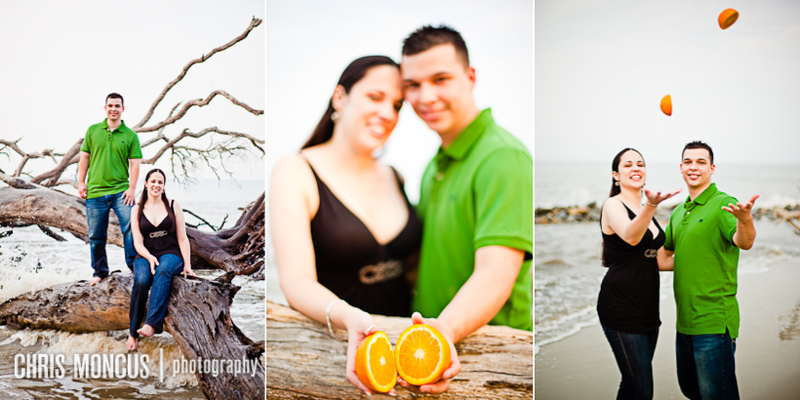 They told us they wanted to use an orange for the ones at the beach. Odd. They explained that her dad told her a Spanish saying regarding soul mates was “two halves of the same orange” – something so true of them. Now it makes sense. 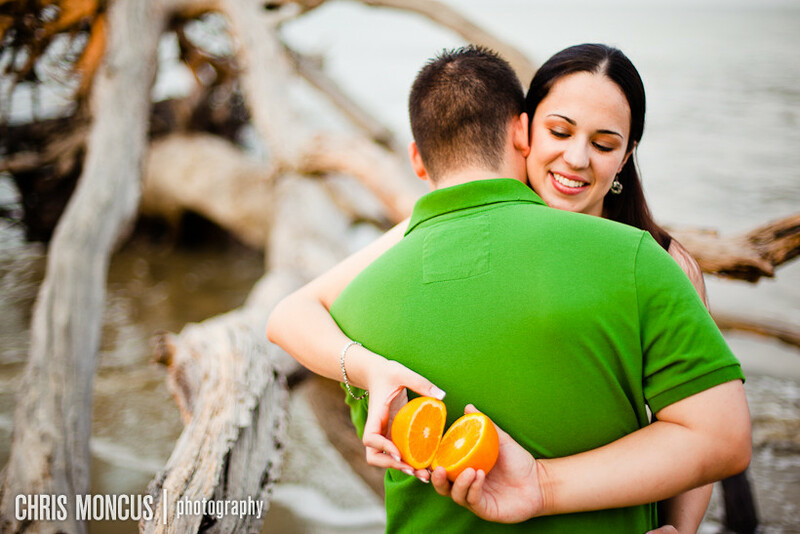 Oranges are also a key to her wedding theme and decorations.